So, in the past 48 hours, the Internet was kind of set ablaze by a new hot leak — an iPhone XI (iPhone X 2? Who knows?) leak. Reiterated and re-affirmed by multiple reputable leaksters and sources, a render, allegedly based on real information about the next iPhone, popped up to show us... a triple camera! Oh, also, it's arranged in a very awkward fashion. 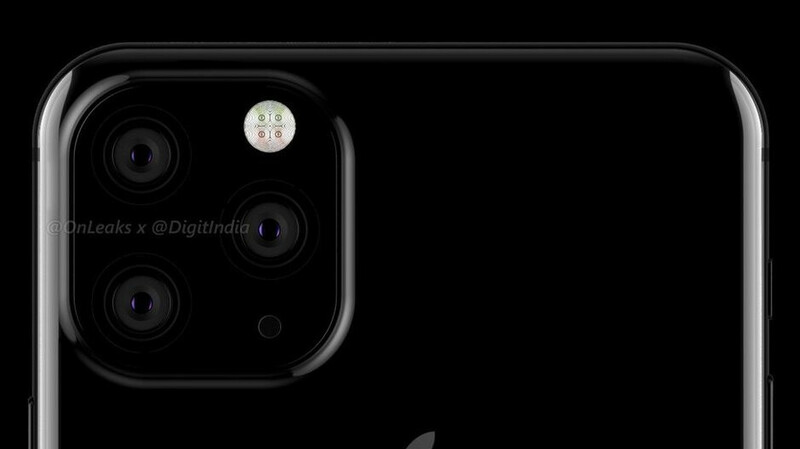 So, the camera placement stays at the top-left of the phone's back, but the whole bump has grown into a big square, enough to hold three lenses, the LED flash, and the microphone. This was kind of gut-wrenching for a lot of fans, who are hoping to see the camera bump shrink and disappear instead of growing even bigger. Also, some found the awkwardly-placed lenses to lack any symmetry or finesse. But was it just a vocal few, or does everybody dislike what we saw in that leak? Yeah, it looks very similar across our social media — Facebook, Twitter, YouTube... People aren't exactly thrilled. The good news is that this is very probably still in the prototype stage and there's a chance that Apple might decide on a different design before it kicks off mass production. The Camera bulge reminds me of the "supercamera" Nokias that came out a few years ago. Personally it doesn't bother me as long as the bulge is there for a reason and provides excellent photos, video, and AR. Corner looks ugly, the center looks ok like the Huawei phone. If it was centered it would be less blegh, but even then thats pretty fugly. Not an apple fan but Id expect a better design coming from them. This will test the loyalty of the isheep Fandom. Will they spend thousands to get something this hideous? If they do, then u know Apple got them hooked like crack cocaine! crack and cocaine is cheaper... LOL! I can care care less about the stupid camera on back I care about the front. I just want that camera to work really well and if there a reason to place them like that than cool. Apple PLEASE fix this! Just use the current camera setup but replace the flash with another camera and have the flash outside of the module.